Allison is into details. She loves to plan and organize projects to ensure that no detail gets missed. She believes that crucial to being well organized, a project must be thoroughly researched. Allison feels there is nothing better than digging to find a gem of information – whether it’s the perfect photo for a marketing brochure or a great quote for a report. 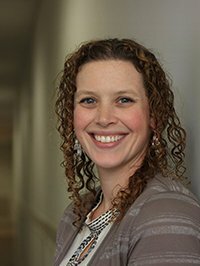 Allison excels in challenging timeline-based environments and has experience in establishing organizational systems and processes to enhance the smooth operation of the team. She most enjoys projects where she can also use her creativity. Allison holds a Bachelor of Arts degree from Simon Fraser University with a major in History, providing her with an excellent background in research and communication. Allison has a great many passions outside of work, from softball to knitting, but she especially enjoys spending time with her husband and two sons.